5 day driving courses are recognised as the most efficient and cost-effective method of obtaining your driving licence. Used by the Police and Armed Forces and applicable to everyday driving skills. Here at GoGoGo Intensive, we run our courses from our unique training centre in Peterborough, where you will begin the first stage of the learning process. Don’t live in Peterborough? Don’t worry, we’re close to the train station and located in the heart of the city centre – right next to the city’s football ground. Our accommodation partners a few minutes walk away can offer some very attractive rates which we can book on your behalf if you wish to stay overnight. The average student, according to official DVSA (Driver Vehicle Standards Agency) statistics, needs 45 hours of professional instruction together with 20 hours from family members before they are ready to take their driving test. 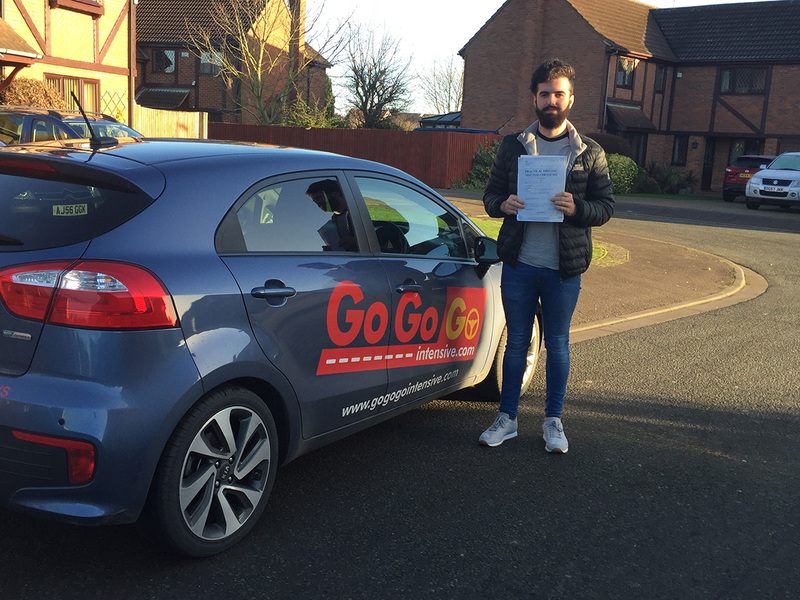 GoGoGo Intensive is the quickest and most effective way to learn to drive as our friendly expert instructors will cover all the elements of the theory test and practical test in just 5 days, using what we call progressive learning methods. You could also save up to £400-£500, based on the DVSA statistics, with an intensive driving course in Peterborough. If you have dyslexia, hearing difficulties or speak a foreign language special arrangements can be made. Please contact us on 01733 314151 to discuss you requirements and how we can help you with your 5 day driving course in Peterborough, Cambridgeshire. Read more about how we cater for learner drivers with special needs.